The prison plan is part of Gov. Paul LePage's proposed budget for the upcoming two-year cycle. AUGUSTA – Gov. Paul LePage’s push for a new prison to replace the aging, hodge-podge Maine Correctional Center in Windham has been overshadowed lately by other issues swirling about the State House, such as the Medicaid debt to hospitals, a new school grading system and a proposed tax code overhaul. But the proposal to issue $100 million in bonds from the Governmental Facilities Authority is very much alive. The plan is part of the governor’s proposed budget for the upcoming two-year cycle that’s under review in the Appropriations Committee. Lawmakers on the Criminal Justice and Public Safety Committee have asked that the prison project be delayed until July 2015 to allow time for the Corrections Department to conduct a feasibility study. The plan has faced little opposition, although committee co-chairman Sen. Stan Gerzofsky, D-Brunswick, said the project’s cost has to be balanced against other needs such as schools. Corrections Commissioner Joseph Ponte has said the present compound is inefficient after decades of piecemeal expansion. In a podcast on the Corrections Department’s website, Ponte said housing all of the inmates now sent to other jails across the state in one new central location would result in huge, permanent savings — reducing the costs associated with each inmate from about $102 per day to $62. The department envisions preserving the women’s center and the newest dorm facilities at the site but replacing the remaining buildings, changes Ponte said would save $8 million in staffing costs. First known as the Reformatory Center for Men when it was established by the Legislature in 1919, the site has been enlarged and modified over the decades. 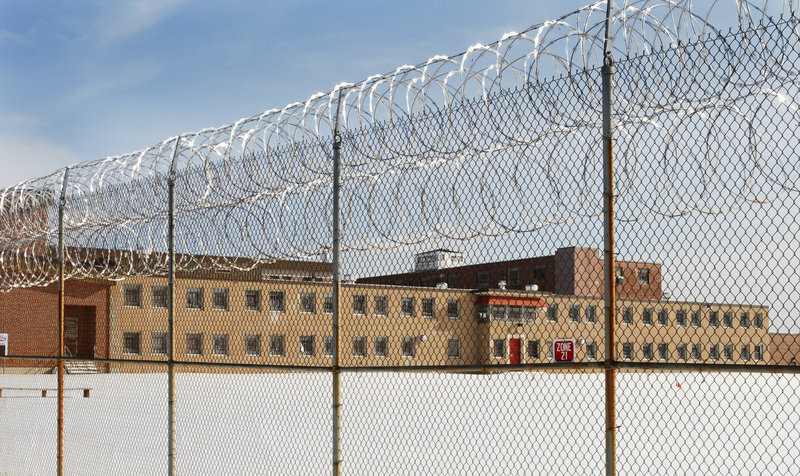 It was renamed Maine Correctional Center in 1976 when women were moved to the compound. With the growth, the lines of sight for officers became diminished by the uneven walls while the passing decades took a toll on prison infrastructure. “New facilities allow us much better vision, much better electronics, much better door security, much better perimeter security that we don’t have at the current MCC. Those are really safety-security issues,” Ponte said. He also said a new prison would address concerns of an aging prison population, which requires heightened medical care and geriatric-needs units. “We don’t have units to house the mentally ill and we have more of those coming in the door. This new design will allow us to, from the ground up, set up specialty kinds of units to deal with the types of populations the Maine Department of Corrections is seeing more of,” the commissioner said. For the same number of staff employees in a new efficient prison, the facility could house 500 to 600 more inmates in MCC, which had 660 inmates as of mid-2010, Ponte said. He sees long-term savings of around $10 million per year that would allow the state to repay the bonds within 15 years with existing funding to the department. Ponte tried to put to rest suggestions by critics that the new prison is a step toward a privately run prison system. “If we were to attempt to privatize corrections in Maine, I would first have to get the governor to agree. And he’s publicly said we would not do that. Then I would have to approach the legislators to agree to that proposal. We haven’t done that. I have no intentions of doing that,” Ponte said.